Our mission is to secure, protect, and assist the rights of New York State tobacconists, and help with tobacco legislation in the state. 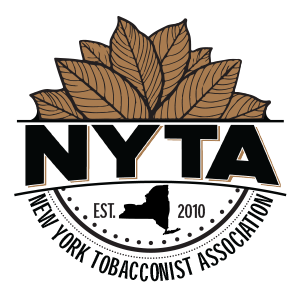 Established in 2010, NYTA works to represent and assist all tobacco retailers in the state of New York. We are committed to fighting for and protecting the rights of adults to enjoy legal premium tobacco products, along with the rights of tobacconists to furnish them with these products. If you are a NYS tobacco retailer, you can join the fight by becoming a member. Annual dues for a single retail location are only $100 per year per store and $300 per year for three stores or more. If we all fight together it’s much harder to be ignored. That’s simple numbers. If you are someone who enjoys smoking and are interested in supporting our organization and helping us in our fight against excessive regulation and legislation of tobacco in New York, you can contribute by making a tax free donation. What’s in it for you? Well, you’re actually helping yourself in helping us.